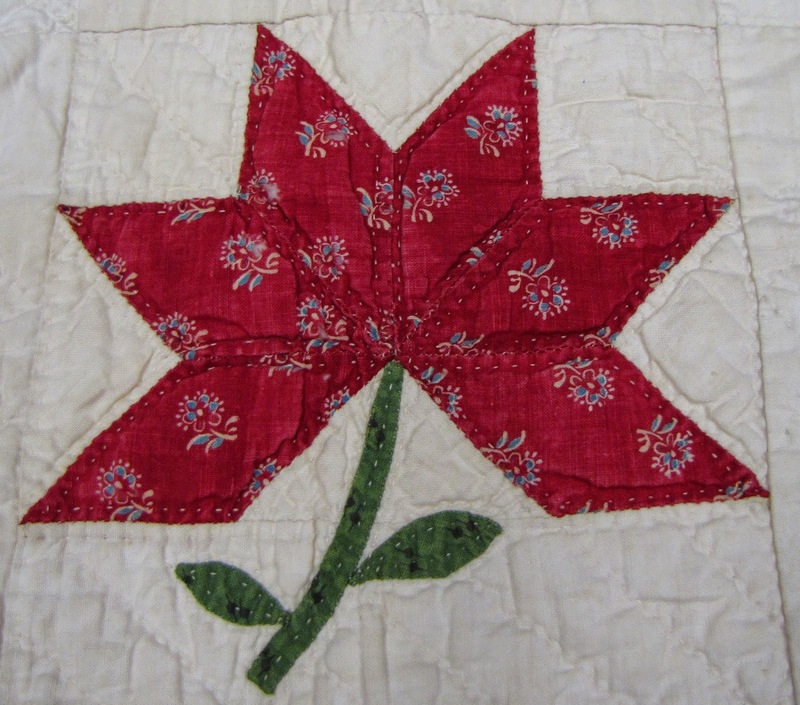 I have a passionate love for ... antique turkey red fabric in quilts. Okay, I've admitted it. Bet many of you love them too. 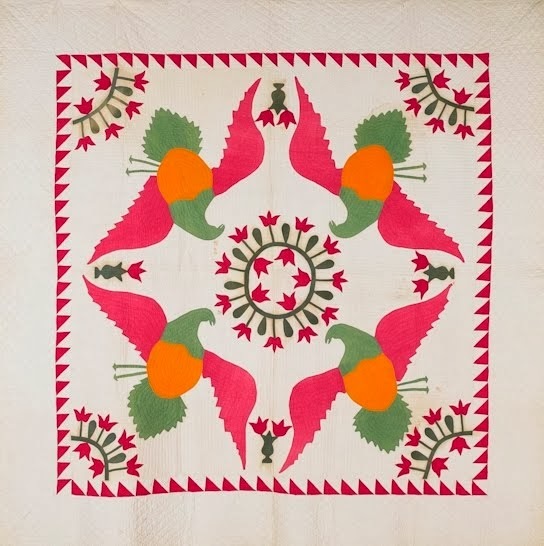 Maybe it is due to my Scottish roots, Scotland was a turkey red fabric printing powerhouse in the 1800's, by the way. 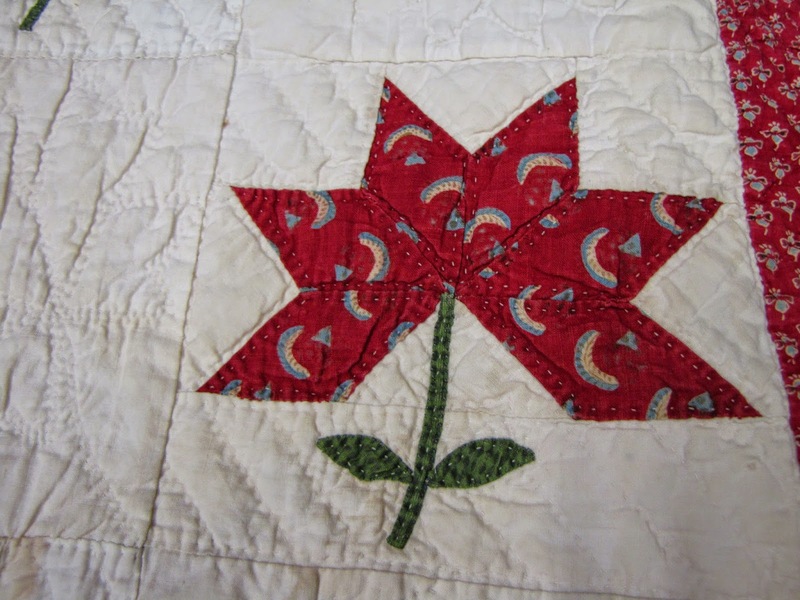 The dyeing and printing process was extremely complex and tedious but produced such beautiful red fabrics. 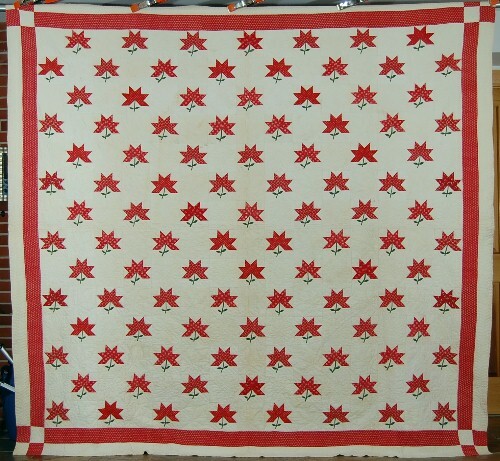 This c. 1850 fancy quilt has a great variety of tr prints and is very large at 96 x 100". 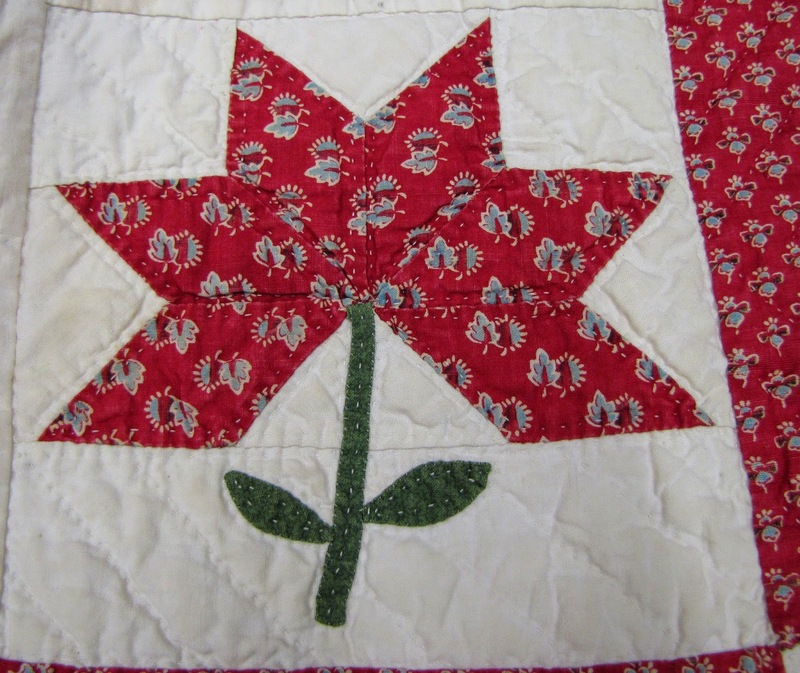 While it appears to have been done in a very formal treatment, the applique leaves and stems are individualized and add a delightful touch to the quilt. Please let me know if you like to see more turkey reds. 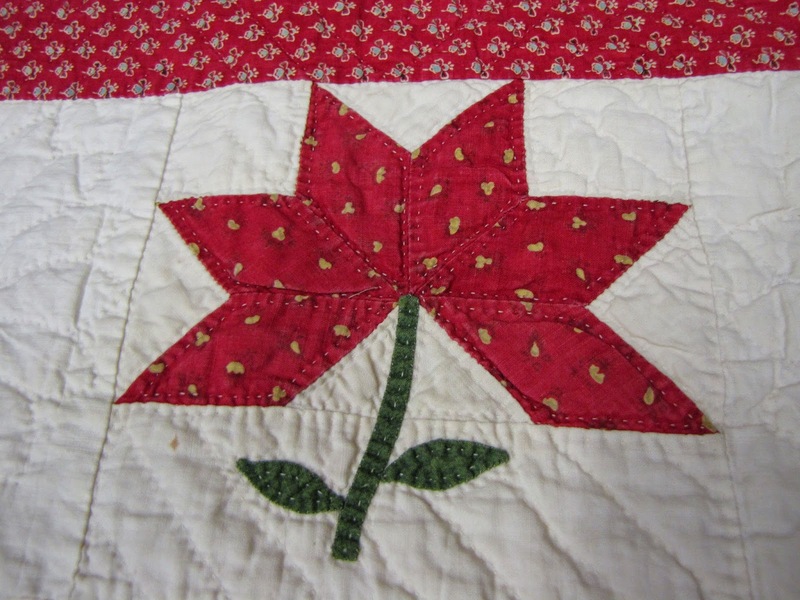 I have many 1840-70s quilts with lots of different turkey red prints. 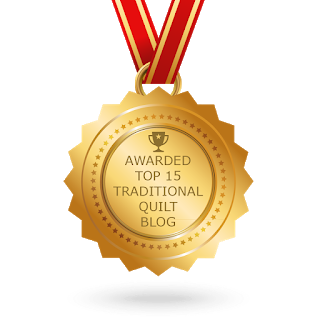 And don't forget, I love to share them in the cloth too. 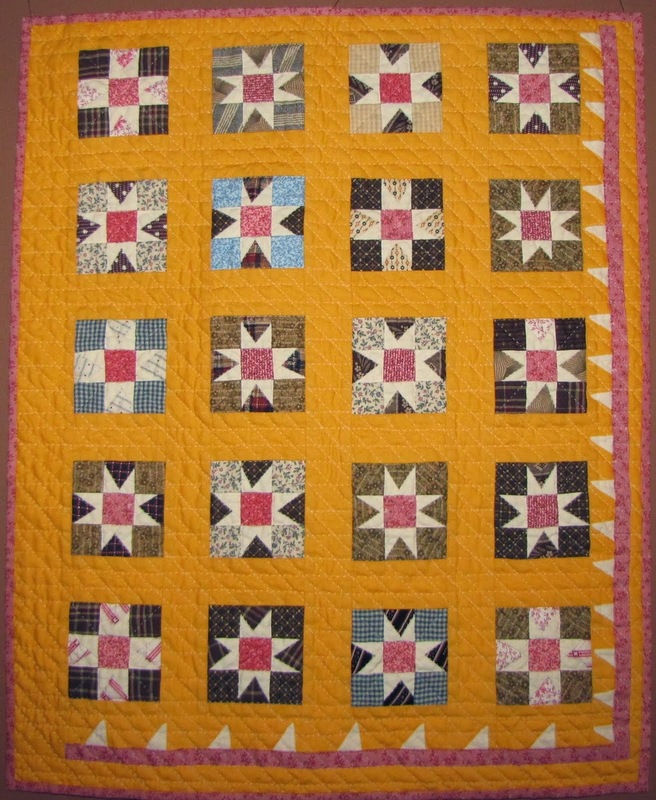 Here are several more blocks for your viewing enjoyment.